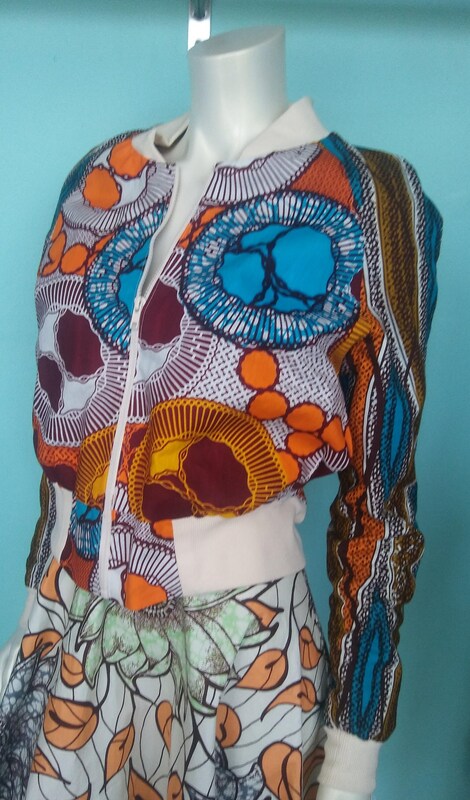 Handmade Ankara bomber jacket, made from African wax block cotton. 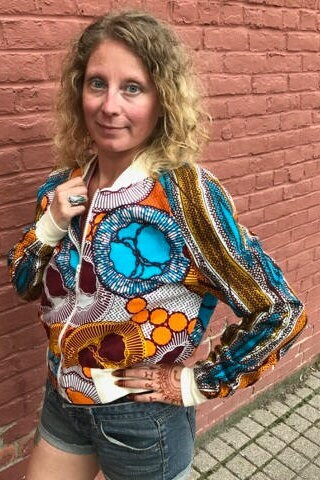 Cream and multi colored GTP Brand (Ghana Textiles Printing) wax block cotton directly sourced from textile markets in Ghana. 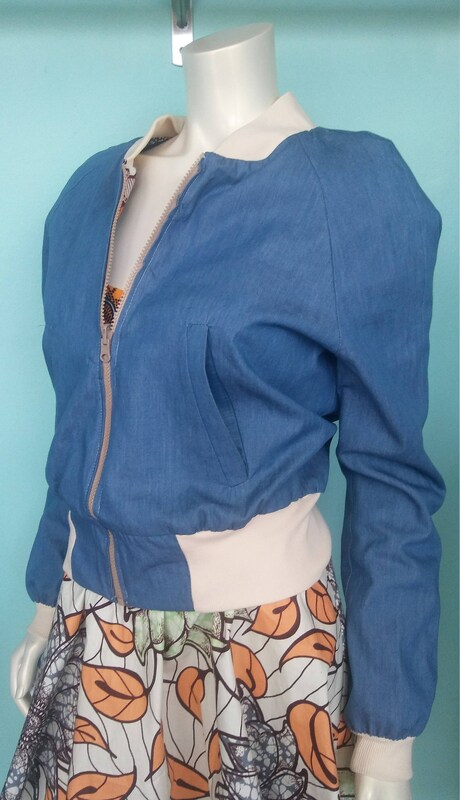 Available In unisex sizes and reversible to chambray with welt pockets on both sides. Look for other prints in my Etsy shop!